Last night I was just about to set my phone down and close my eyes when suddenly it went “Cha-Ching” like an old cash-register, and I got so excited! My phone makes that sound each time an order is placed in my Etsy shop, so obviously it wasn’t time to sleep. It was time to get online and check out what was happening in my shop! To my startled surprise, I had just sold one of my digital products! Talk about timing! After all, today I want to talk to you about digital products and selling them while you sleep. Most of you already know my story, so you know that life is a blur right now. Nothing is easy, time doesn’t exist, and we are on one crazy roller-coaster ride trying to keep our heads above water. 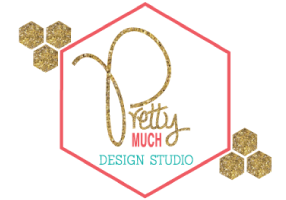 Originally, when I opened my business, I wanted to focus on custom wedding stationary and decor. Well, I’ve booked one wedding in one year, and it was my cousin. Outside of that amazing opportunity to create all her stationary, programs, welcome bags, guestbook, tablecloth, and signs, I’ve had a lot of interest in my enormous glitter banners and my Trophy Wife t-shirts. In addition to those products, I’ve started developing some new products that are slowly gaining in popularity: printable unplugged wedding signs, printable social media hashtag signs, and some printable wedding invitation suites. So why the shift between custom wedding stationary and decor to printable stationary and decor? Well,because digital products are selling right now. Everyone wants what they want, when they want it. They want the instant gratification that comes with the ability to download a digital product as soon as they make the purchase. People want to go shopping in their pajamas and get the product before they head to bed. And moreover, people want to pay less for products that rock! People want to go shopping in their pajamas and get the product before they head to bed. Adding digital products to my business has already begun to make a difference in my business success. I’ve had bunches of people liking my shop and favoriting my printable products. It’s gotten more eyes on my small business. However, they aren’t selling! I know these products are great or people wouldn’t be taking the time to check them out, to favorite them, to like them on Facebook, or to heart them on Instagram, but what am I doing wrong? They just aren’t selling like I want them to, and they aren’t making me the money I need to to fill in the gaps between the full on custom wedding design that I do. I’d say I need to adjust my strategy! So what do I do when I need to adjust my strategy? I turn to some amazing entrepreneurs and their expertise, that’s what! April is going to be at CreativeLive teaching two classes in November! One is Create Digital Products that Sell While You Sleep and the other is Make Your Creative Business Uniquely Irresistible. I could not be any more excited! This woman knows what she is talking about. I just know that with her help, I am about to take Pretty Much to all new heights. Get ready because great new things are coming soon. I’ve already RSVP’d, cleared my schedule, and set my reminders because when April teaches, you have to listen. When you have an opportunity to learn from April, you take it! In April’s class I am hoping to learn several great things, but I really hope to learn about better copy-writing and better marketing for my products. I want to find out what would take my products from good to great. Where could I make some changes in order to get better results? April talks about digital products making it possible to target more markets, help us make more money without working longer hours and price our handmade products higher. I want to learn everything I can about all of this, so that digital products can help me on my way to success and freedom. So, are you in? I sure hope so! I cannot wait for this class because I just know it’s going to be worth every second. If you are interested, you can check out April’s blog at www.blacksburgbelle.com. Even better, you can follow along on our blog tour too! Hope to see you in the course chat-room on November 10-12th! When I’m not blogging I’m a wedding photographer/cinematographer and will be sure to “plug” your unplugged wedding sign to my future clients. Love it! Your blog is gorgeous! I agree with Sage. And, congrats on your digital sale! Yay! Onto the main issue…My first question would be, if I’m new to your blog, how would I know how to buy from you? I landed on this post and I can’t figure it out just by being here. Now, it could be that it’s 12am my time, and my brain starts to shut off around this time…but, it could be that it’s not obvious. That’s one thing you want to think about. But, there are so many other factors that I’ll be diving into in my course and I’m hoping you’ll get some ideas on ways you can tweak things to make them sell much better. Thank you for participating in this blog tour! Awesome post Renay! I too am looking forward to learning from April. She pretty much rocks. Yay! So glad you will be in the chat room! It’s going to be a party in there. Such an interesting and honest post. It’s really great to hear more from someone already selling digital products. I am really looking forward to April’s class too as I got so much from her blogging class. Girl I am with you! I want to learn everything I can from April in this course too. You are so right, people want to shop and get what they want from the comfort of their home and in their jammies. Good luck with creating your product. Its so nice to meet you via the blog tour. I look forward to seeing everyones creations and what we all implement from learning from April!